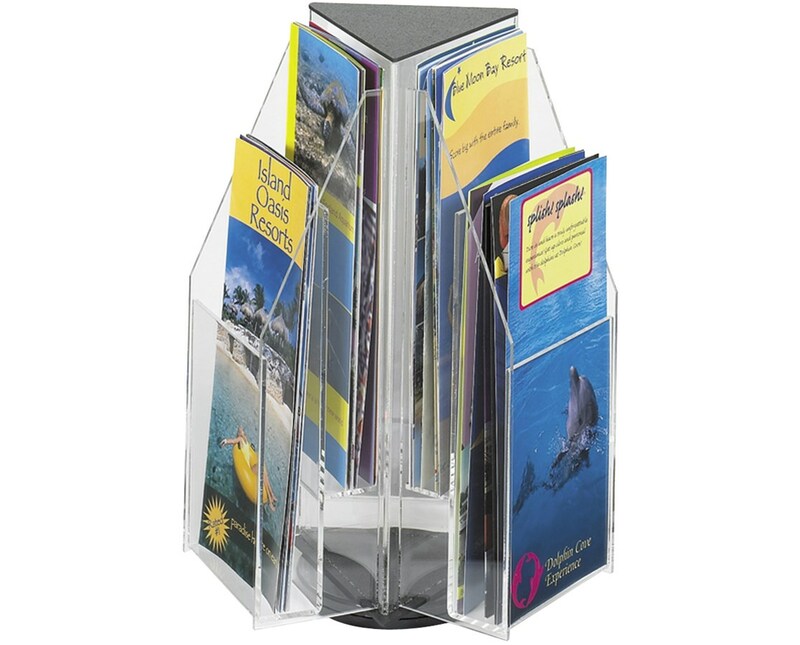 The Safco Reveal 6 Pamphlet Tabletop Display is a rotating crystal clear display that helps organize and store pamphlets in simple and clean manner. It has three sides with two pockets in a two-tier design, which makes for a total of six pockets. Each pocket is 4.25 inches in width and has a capacity of one inch thick of printed materials. 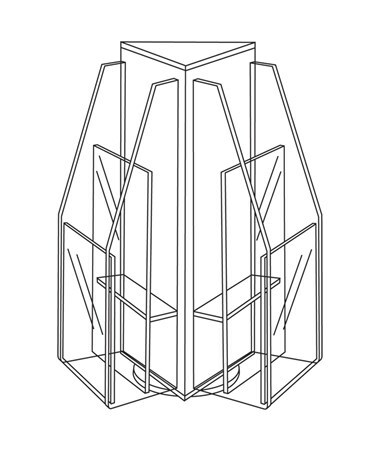 Accessing the contents of this display is easy because it can rotate a full 360 degrees. Its compact size makes it great on any desk and does not take up much space. 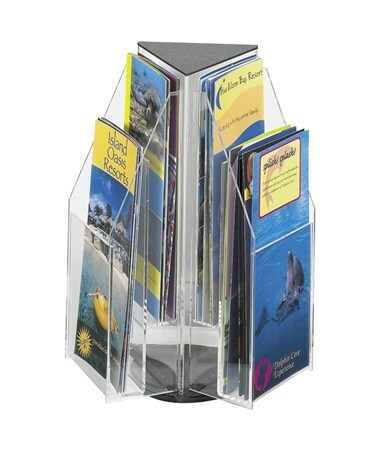 This pamphlet holder is made of acrylic and is thermoformed, which means it has no sharp edges. It is also GREENGUARD certified for low chemical emissions.